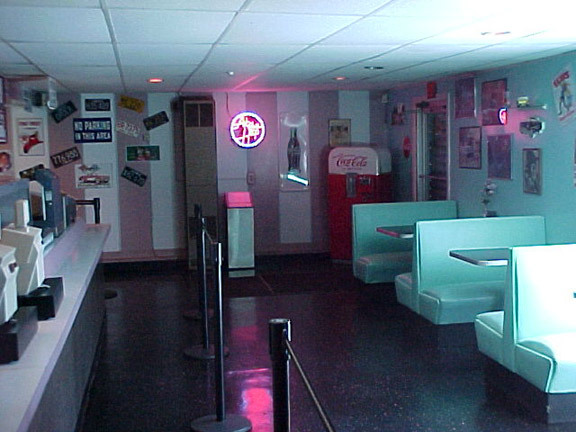 I know it sounds like the olden days, but my husband and I love going to the drive-in. For Father’s Day my husband took our oldest by himself, while I sat home with the twins, as they are much too young to enjoy the night. 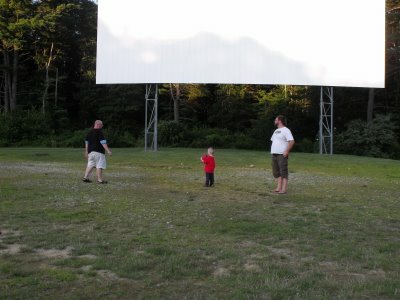 We always go to the Drive-In in Mendon, Massachusetts; although there are a few others around. The Mendon Drive-In is open seven days a week rain or shine. On Fridays and Saturdays, the box office opens at 6:15 p.m., and on the other days it opens at 7 p.m. 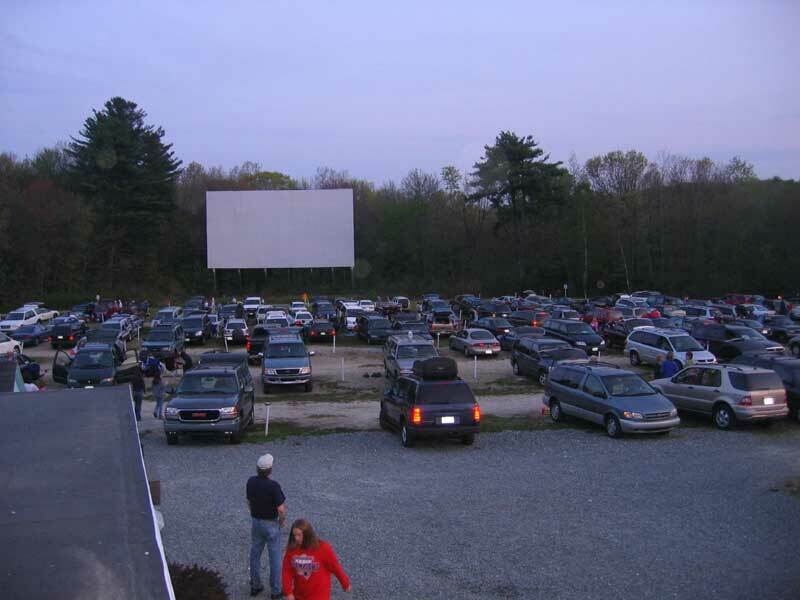 The Drive-in fills up fast, so I do recommend getting there when the box office opens. At Mendon, they have two different screens and on each screen they show two movies. The cost is $25 per car. That allows the whole family to watch two movies, which I think is a great price, especially if you have a large family. They change the movies weekly, and play movies that are currently in the theater. The movies start once it gets dark, which is usually around 9 p.m. There is a field in front of the screen where a lot of kids run around and play before the movies start. They have bathrooms there, so no need to worry about potty breaks. They also have a large snack bar, with tons of options, like chowder, tacos, hotdogs, ice cream, and of course, popcorn. It does tend to get pretty cool at night, so I suggest bringing some sweatshirts and blankets, just in case. Few things are better then snuggling up in the back of the car and enjoying the movies as a family. I highly recommend taking the kids to the Mendon Drive-in! we love the mendon drive in as well!